Are you looking for an Emergency Plumber in Mansfield or the surrounding areas? First 4 Plumbing operate a 24hr, 7-day a week emergency plumbing service to customers in Mansfield and the surrounding area. With our 1-hour emergency plumbing service, we aim to be with you in 60 minutes from taking your call. With over 25 years’ experience, First 4 Plumbing offer a complete plumbing and heating solution including installation, repair and servicing. 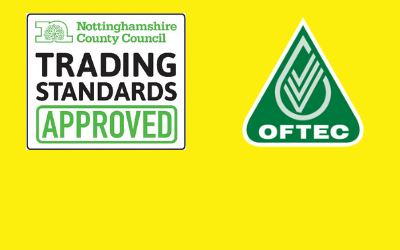 We are OFTEC and Gas Safe registered plumbing specialists who are also Nottingham County Council Trading Standards Approved you’re guaranteed a first class, professional service. Our emergency plumbing service is used by both homeowners and business across Mansfield and beyond. Our team of dedicated and friendly engineers have the experience to tackle jobs of all shapes and sizes. To see how highly our customers rate us, please visit our Check a Trade page.